*Winner of the Rising Star Award and Editors Award. Available in 36 countries around the world and in some schools as part of their reading lists. 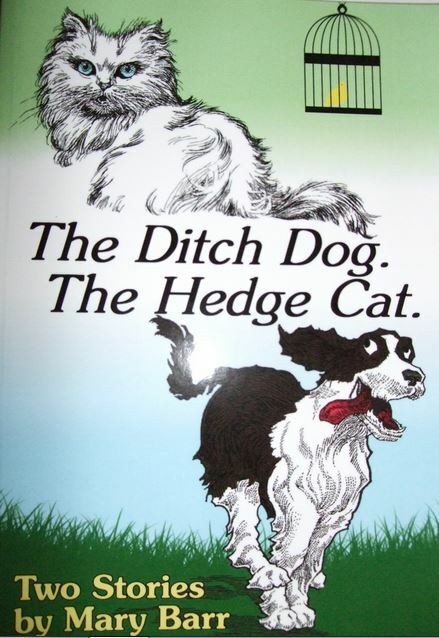 The Ditch Dog takes you into the world of a lovable, shaggy, stray dog named Ditto. He plays endlessly with his many animal playmates, while his friends from the village bring him treats and hugs. Scruffy and unkempt he may be, but Ditto is a dog with dignity, pride and sound judgement. Once abandoned he treasures his freedom above all else, but gradually Ditto begins to realize that something is missing. Will his past fears allow him to become part of a special family and be truly loved? The Hedge Cat takes you into a warm cozy cottage where Giggles happily lives surrounded by those she loves; it is the only home that she has ever known, until one day, a beautiful blue butterfly leads her away from her secure life and into new adventures. She finds herself in a world of dark hedges and wild animals, where some are nice but many are not. Giggles never doubts that Suzy, her owner, will be searching for her. Will Suzy find Giggles in time to rescue her from Emu, the wild, mangy tomcat and the smelly, large black dog who are chasing her?